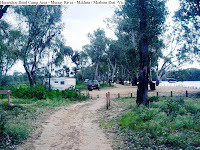 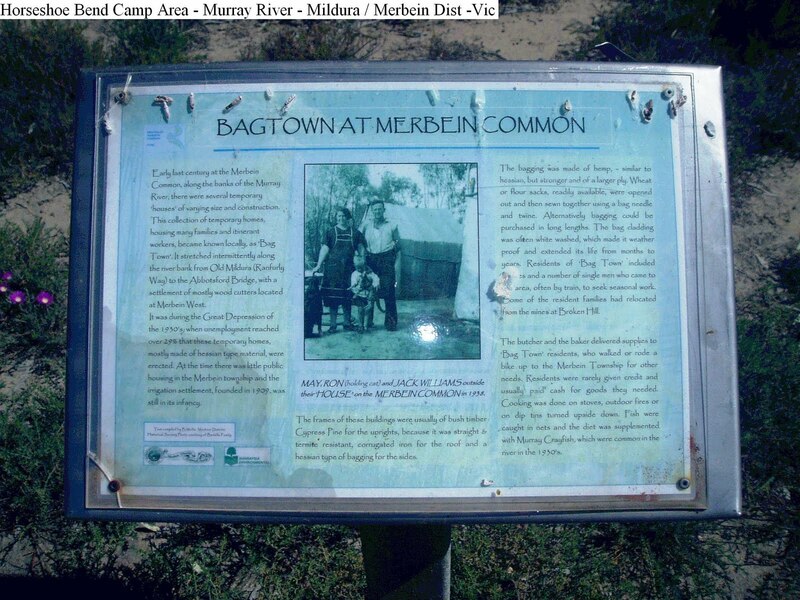 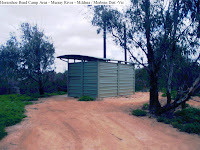 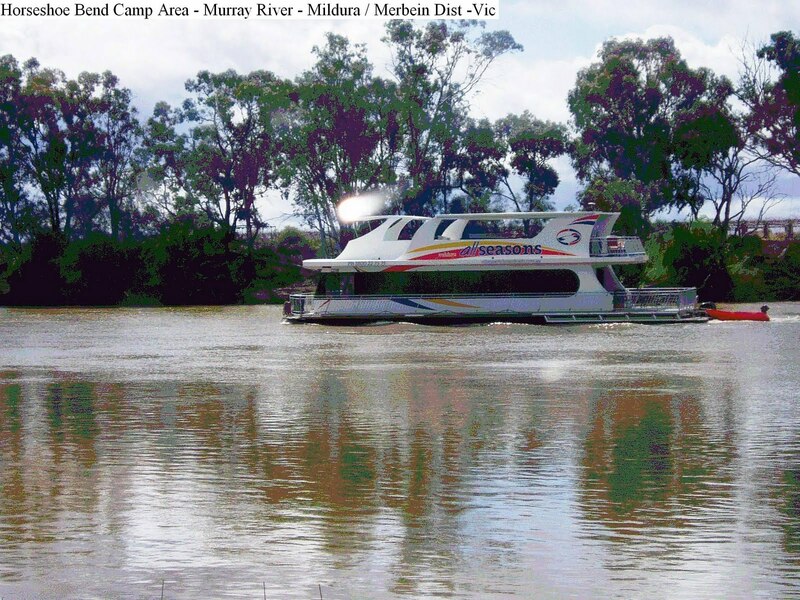 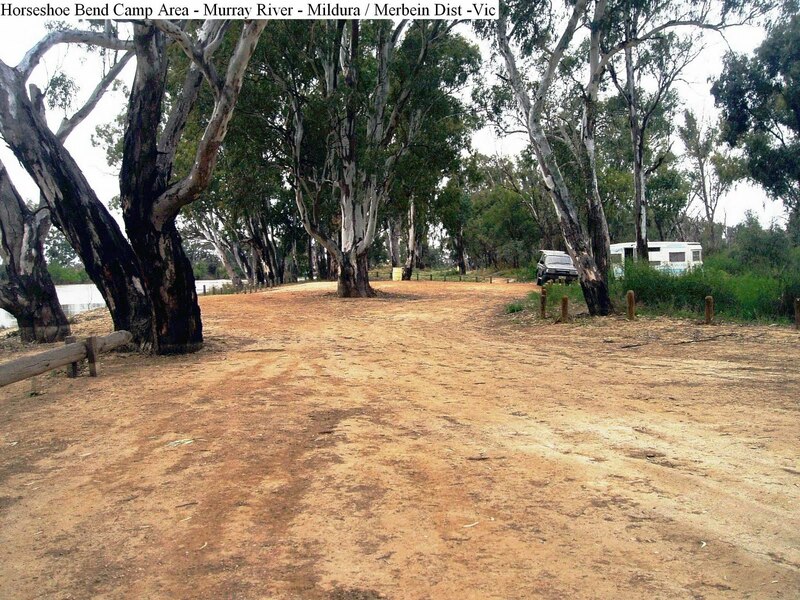 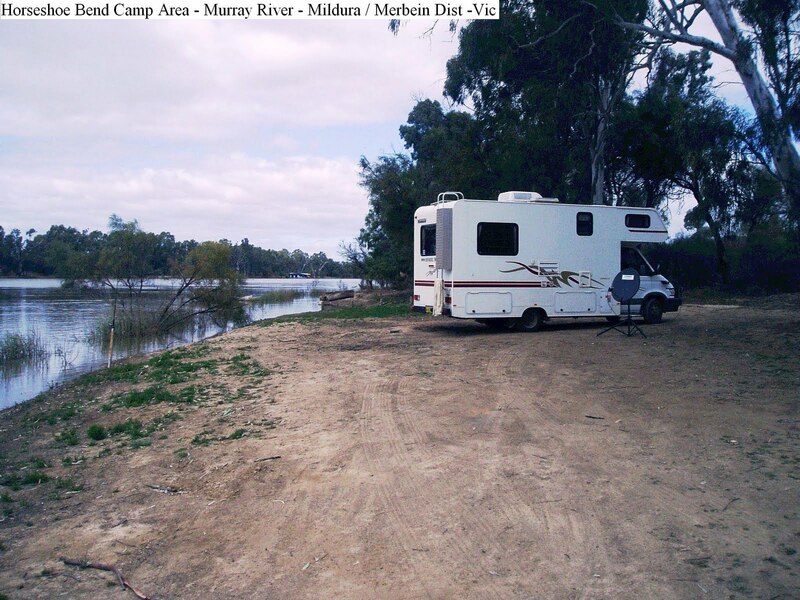 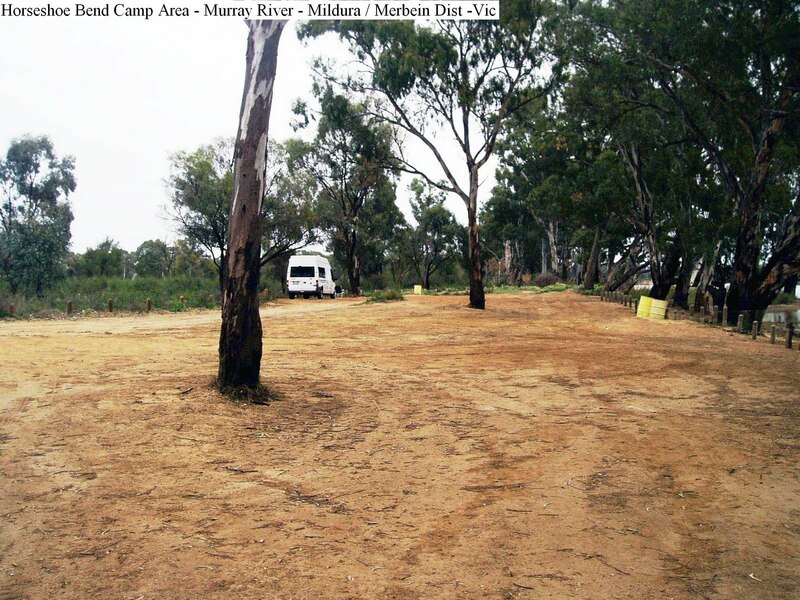 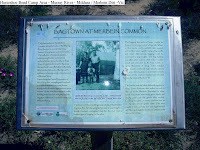 Approximately 2k North of Merbein in the Mildura District at the East end of town via River Avenue along a reasonable dirt road is Horseshoe Bend camping area. 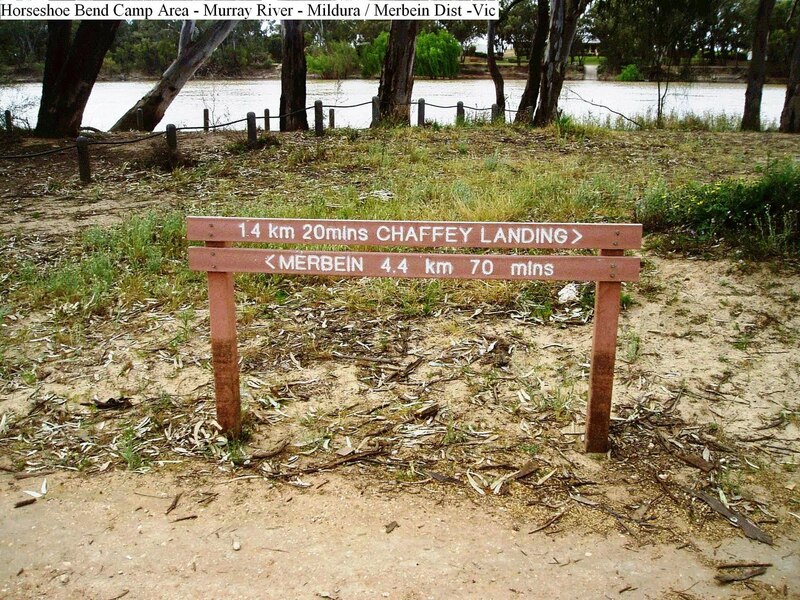 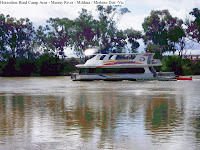 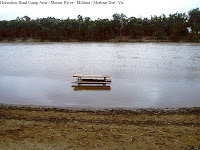 Near the boat ramp, there are plenty of level, shaded sites with a pleasant outlook of the Murray River. 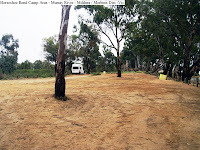 There are no facilities other than a composting toilet which is a short distance from the camping area. Should the boat area be full, it is worth a walk around to inspect the other sites further away from the toilet that are also suitable for camping.